There always seems to be conflicting articles going around regarding sunscreen. Some people say that sunscreen is a must, and that damaging UV rays will eventually harm your skin and can lead to skin cancer. Other people don’t want the active chemical ingredients that are found in sunscreen to be absorbed into their bodies. And now there are pieces of evidence that the aerosol sunscreens, when inhaled, can aggravate asthma and allergies in children. Let’s not forget the hundreds and hundreds of brands out there, from mineral to chemical blocks, and from big brand names to organic choices. Where do you even begin to know what to do about protecting your child’s skin this summer? Well, it seems that organic and natural seems to be the answer. It’s no secret that from food to skincare to everything in-between, organic and natural is not only better for the environment, but also better for your health. We’ll examine three of the top natural/organic sunscreens that are available today, and how they work to protect you and your loved ones from the sun. The badger lineup of products comes from a family owned and operated business that started with a Bear Paw beeswax balm for cracked and dry fingers. Now, they have upwards of a dozen types of sunscreens that are 100% natural and 95% organic. The active ingredient is mineral zinc oxide, which provides a physical block instead of being absorbed into the skin. Further, the natural plant and essential oils in their sunscreens are great for your skin. They produce their products in a safe, cruelty free environment, meaning recycled, phalate/BPA free plastic for packaging and never testing on animals. 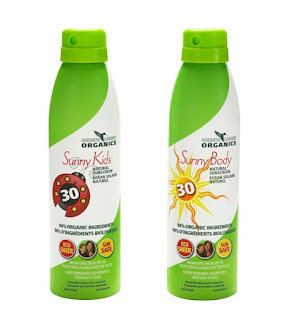 Check out their SPF 34 bug repellant sunscreen, which not only protects you from the sun, but from those pesky mosquito bites as well! Much like Badger, Green Beaver is a family owned and operated company that started with a husband and wife team. Both worked in the chemical industry - one in pesticide industry and one as a microbiologist. Both felt appalled at the level of chemicals found in toiletry products, especially for children. They felt the need to make a change, and quit their jobs to begin developing healthier alternatives for personal care products. 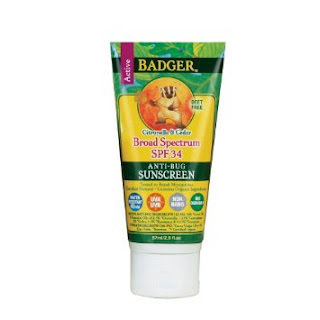 Thus, the Green Beaver brand emerged, including sunscreen. 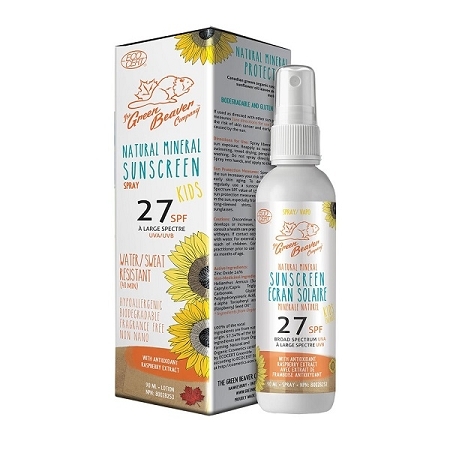 They have an excellent Kid’s Sunscreen spray SPF 27 that is natural, organic, vegan, eco-certified, water-resistant and fragrance free! The husband and wife team, Nova and Paul, who developed this brand, were made aware of the need for natural products when their daughter became allergic to conventional bath and body products. Nova had a background as an herbalist and Paul a nutritional scientist, so they channeled this expertise into developing products into a line that their daughter could use. Goddess Garden offers an awesome continuous spray sunscreen for kids, which is wonderful for those squirmy toddlers that won’t sit still during application! Their sunscreen products contain ingredients such as coconut oil, aloe vera, minerals such as zinc and titanium, and are all non-GMO, vegan, cruelty free and gluten free. Now that you’re armed with some info about the safer choices for sunscreen, head out to your local London Drugs, Choices Market or other retailer to pick up a bottle today! Thanks for all the work and posting the valuable info. Can you advise us if all sunscreens have been tested and approved by an independent organization to verify their claims (SPF ratings) prior to sale?